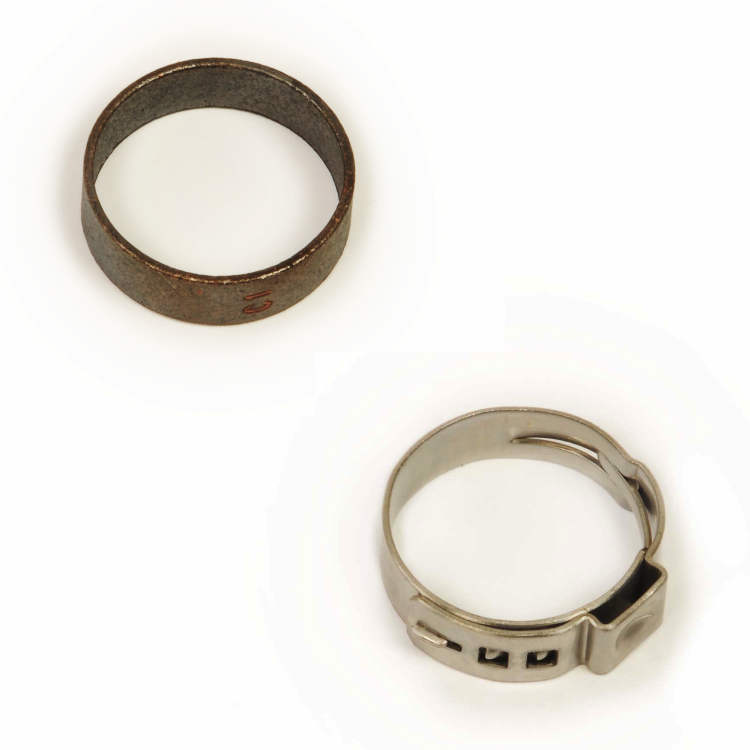 Annealed copper crimp rings meet F1807 standards and are appropriate for use with polymer, brass, and copper insert fittings. Available sizes: 3/8″, 1/2″, 3/4″ and 1″. One tool system for installation. Corrosion-resistant annealed 304 stainless steal which meets ASTM F2090 standards.